A truly impressive pond for larger backyards and commercial installations. 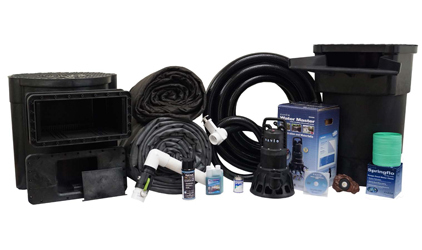 Savio Pond Packages include everything you need to build a full size pond with professional results. Best-selling Savio filtration components and designs assure low maintenance and a healthy ecosystem. You can't beat the simplicity of installation.